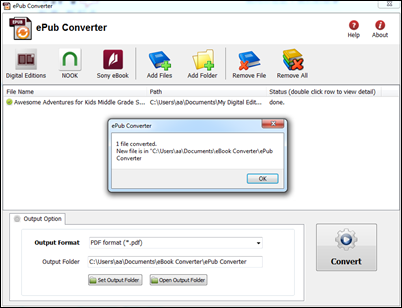 It is well know that you can’t read DRM epub in any device, ePub DRM Protection prevent you to do that, this is tutorial how to converter DRM ePub to PDF, read it in any device, it support ePub purchased from kobo, sony, google play ebook store, and all epub download in Adobe digital editions. When you have bought the drmed books, you just need this simple way to resolve the conversion matter. 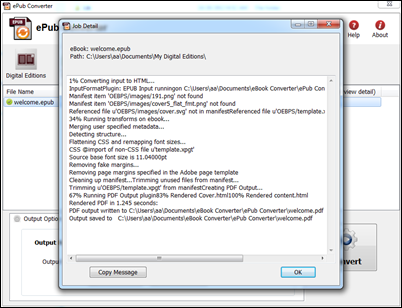 It is very convenient for readers to convert EPUB to PDF no matter the books contain drm or not. PDF is a file format used to represent documents in a manner independent of the application software, hardware, and operating systems. 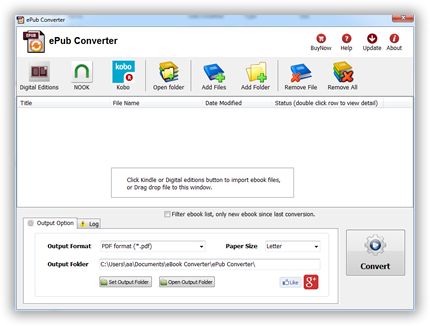 Each PDF file encapsulates a complete description of a fixed-layout flat document, including the text, fonts, graphics, and other information needed to display it.